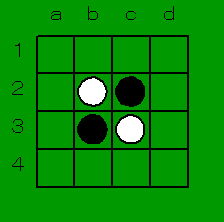 The bitboard method for holding a board game appears to have been invented in the mid 1950's, by Arthur Samuel and was used in his checkers program. The method was published in 1959 as "Some Studies in Machine Learning Using the Game of Checkers" in the IBM Journal of Research and Development. For the more complicated game of chess, it appears the method was independently rediscovered later by the Kaissa team in the Soviet Union in the late 1960s, although not publicly documented, and again by the authors of the U.S. Northwestern University program "Chess" in the early 1970s, and documented in 1977 in "Chess Skill in Man and Machine".